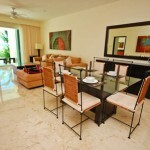 Casa Coral condominiums are located at Jade Bay, Akumal, making them a bit more exclusive than most beachfront condos in Akumal. 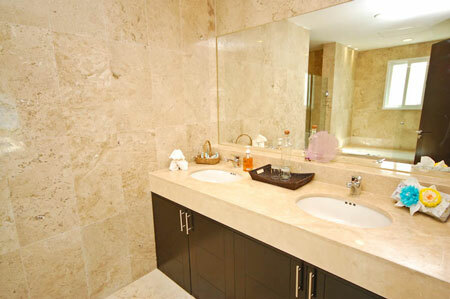 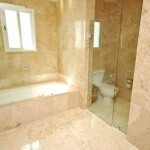 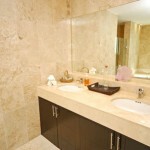 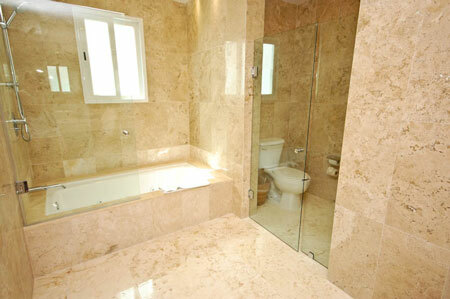 They are also some of the most luxurious in the area, but there are only four of them so you have to be quick! 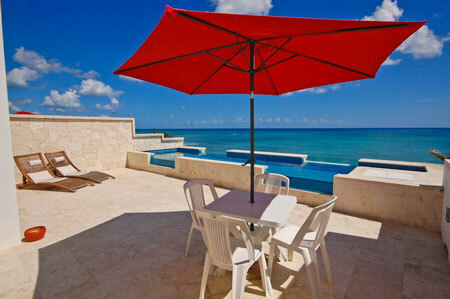 In addition to being situated on this striking, beachfront property, each of the four condos has its own pool that is exclusive to that unit – a feature that is hard to find anywhere. 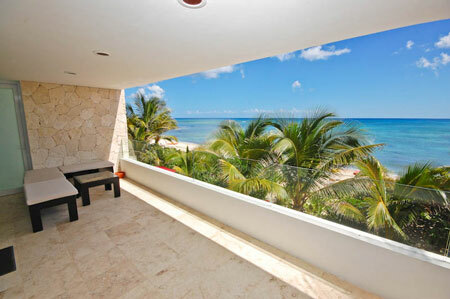 Each ground floor condo has a large, seaside patio and direct access to the beach, while the upper level condos have a large seaside terrace with stunning views of the sea. 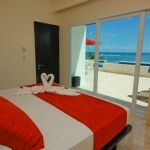 Directly in front of Casa Coral condominiums is excellent snorkeling, and, being located in the middle of the larger, Akumal Bay, a short walk in either direction offers a wide variety of coral and marine life. 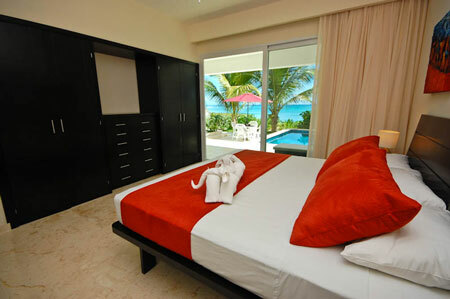 Also, with Jade Bay being within Akumal Bay, amenities such as restaurants, the beach bar, dive shops and more are within walking distance along the shore. 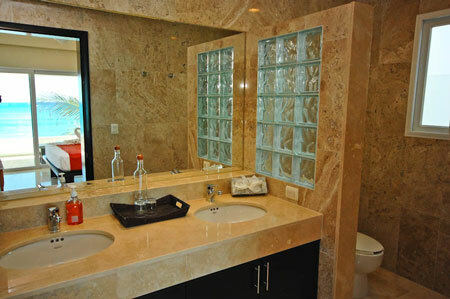 Each of the four condos has a well-designed, modern kitchen, equipped with everything that you could need for preparing large meals, snacks for the pool and beach, or for mixing up a batch of your favorite Margaritas or Pina Coladas. 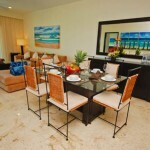 With each condo having a dining area with table and chairs, a sit down dinner in the evening can be enjoyed with family and friends before enjoying a night cap by the pool, watching TV or lounging in the living room, or retiring to a luxurious bedroom with its own spectacular and luxurious bathroom. 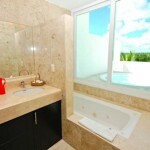 With only four beach front units, each with it’s own pool, stunning views, well-appointed interiors including marble kitchen counter tops, modern furnishings, luxurious bathrooms, beautifully groomed grounds, excellent snorkeling with the beach at your door step, be sure to book your spot in one of these two or three bedroom condos as soon as your know your travel dates, as they are certain to fill up fast, especially during the holidays and winter season! 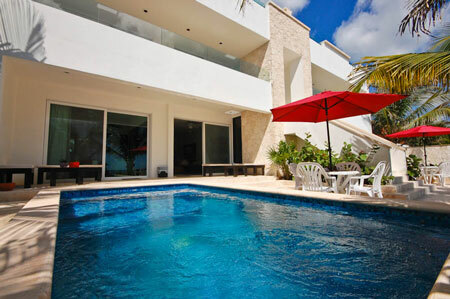 Casa Coral 101 is located on the ground level, has 2 bedrooms, 2.5 bathrooms, and features its own pool, sea-side patio, along with convenient access to the beach. 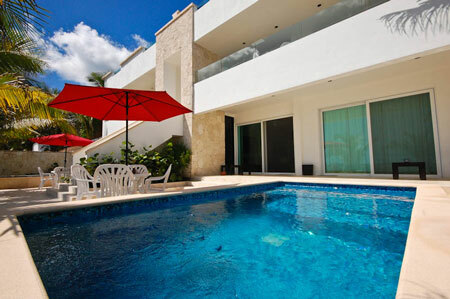 Casa Coral 102 is located on the ground level, has 2 bedrooms, 2.5 bathrooms, and features its own pool, sea-side patio, along with convenient access to the beach. 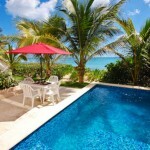 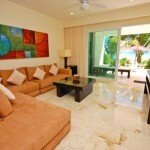 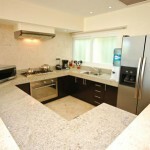 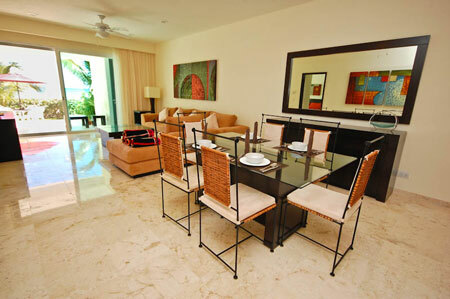 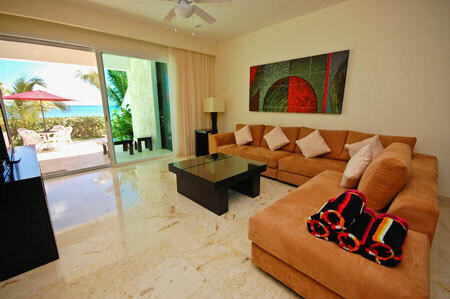 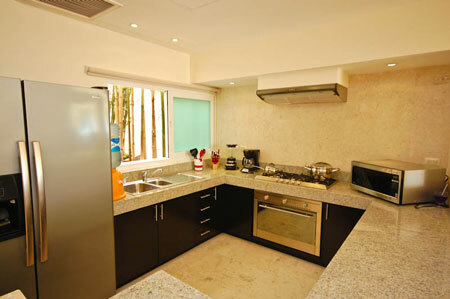 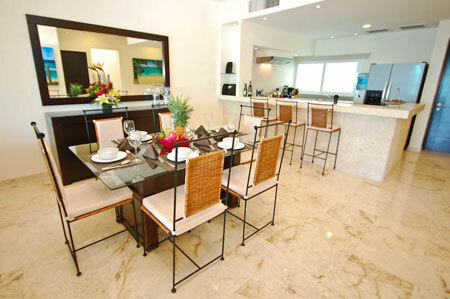 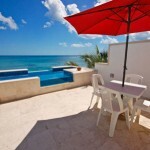 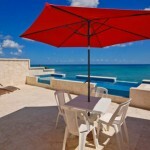 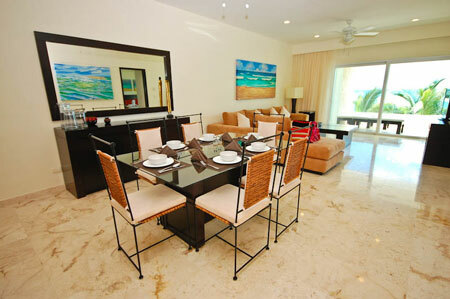 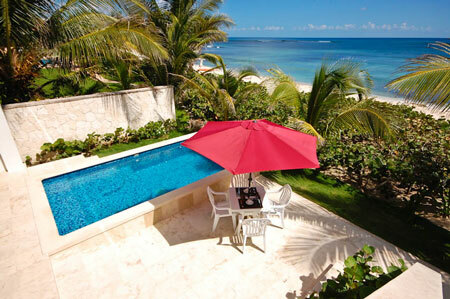 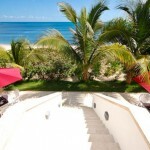 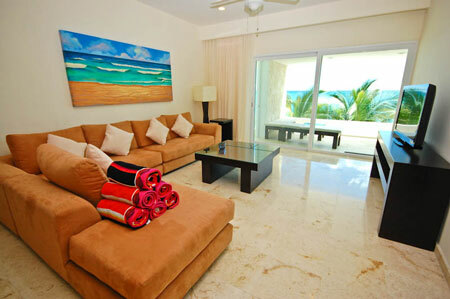 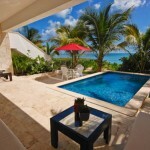 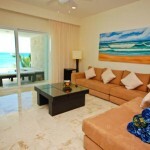 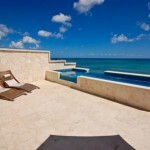 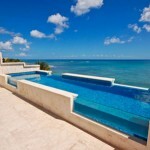 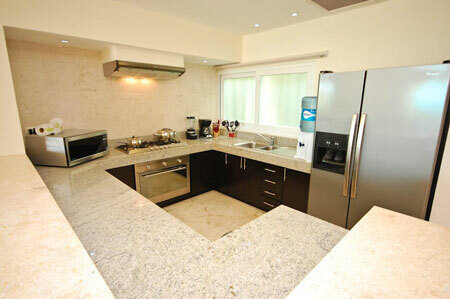 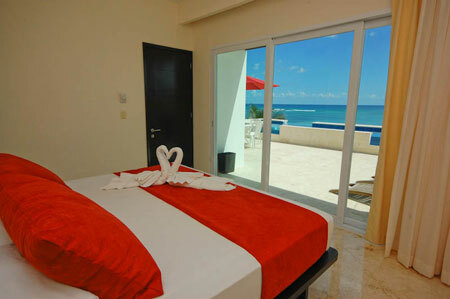 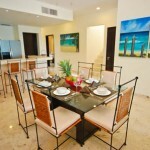 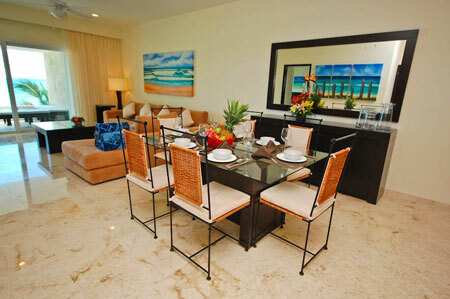 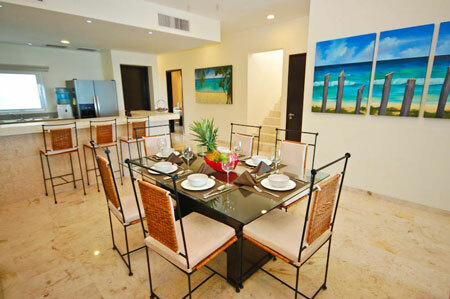 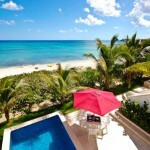 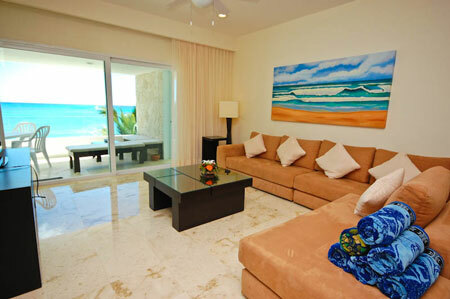 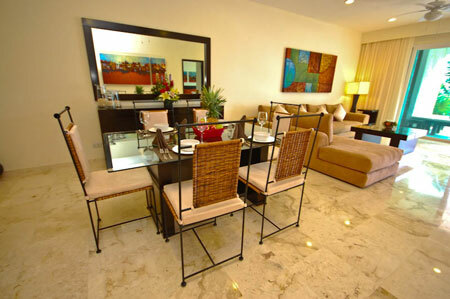 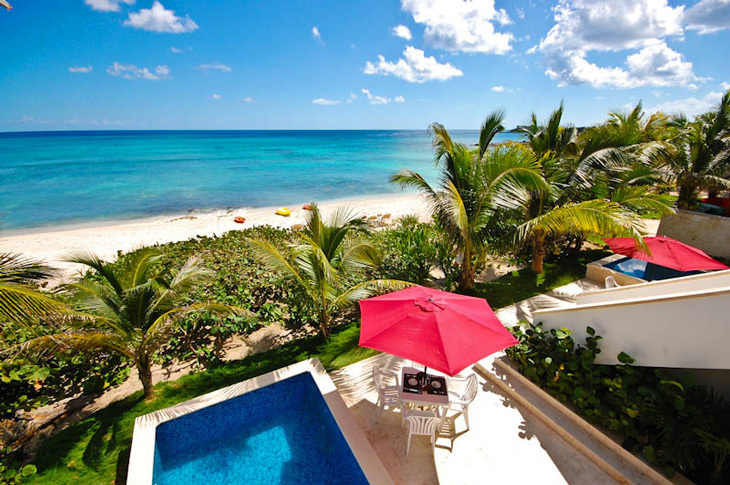 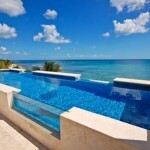 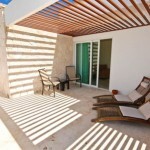 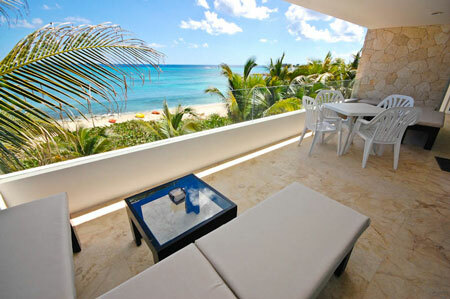 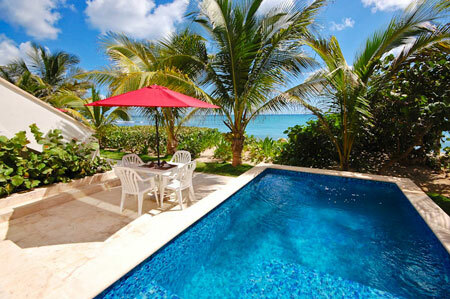 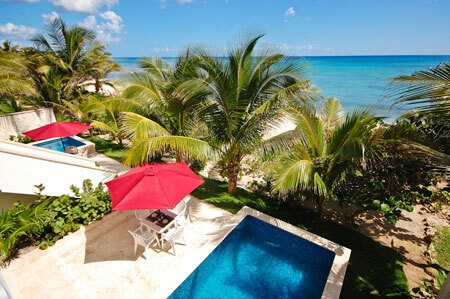 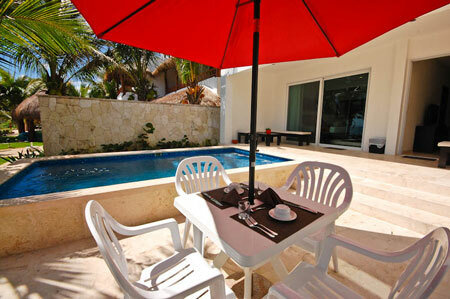 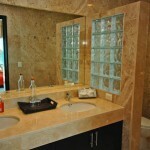 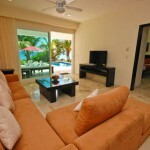 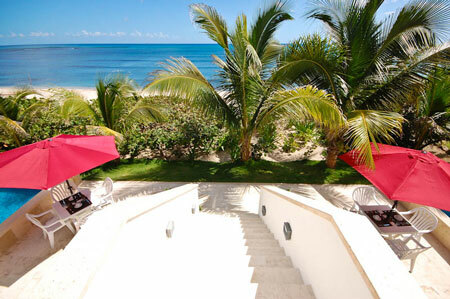 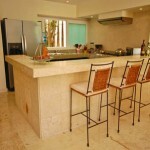 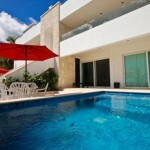 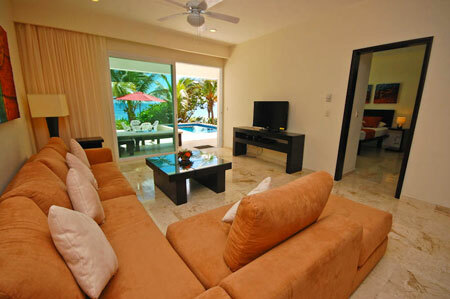 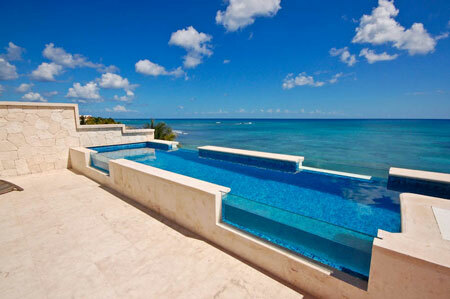 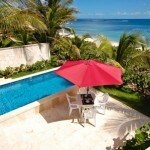 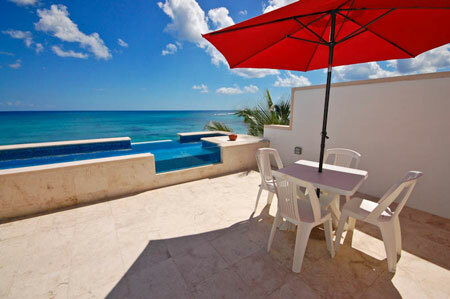 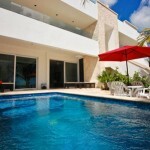 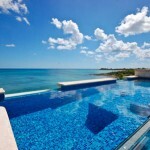 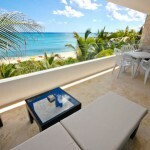 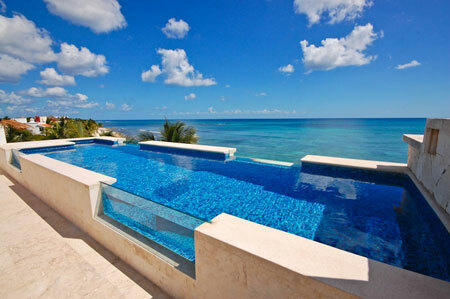 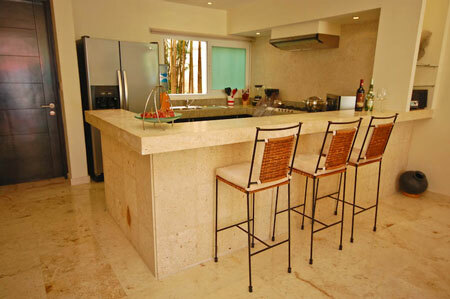 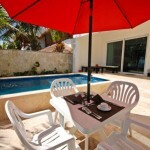 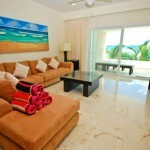 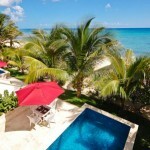 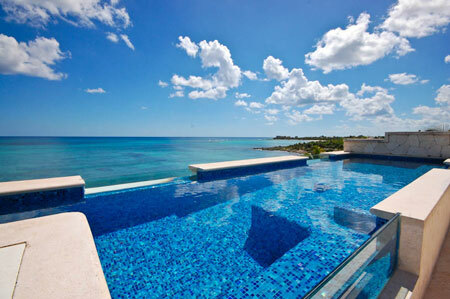 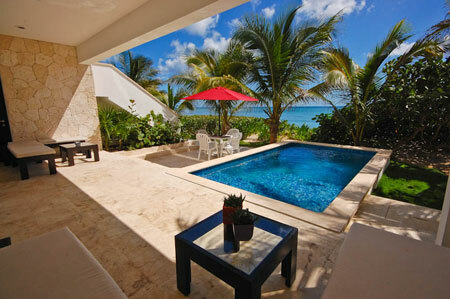 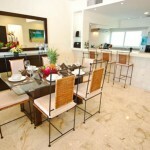 Casa Coral 201 is located on the second level with the master bedroom on the third level. 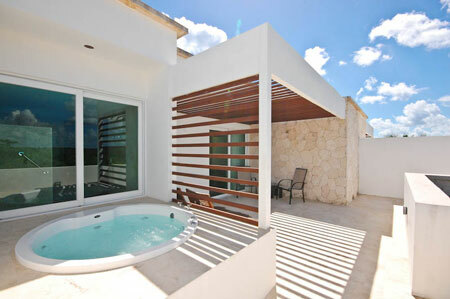 It has 3 bedrooms, 3.5 bathrooms, and features its own pool, separate jacuzzi and sea-side balconies, plus those stunning views of the sea. 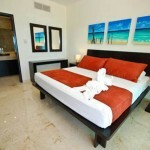 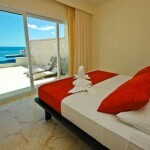 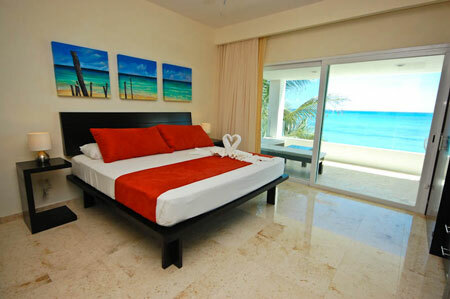 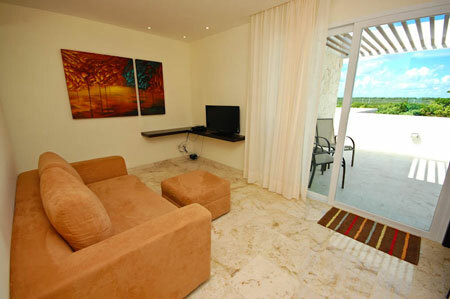 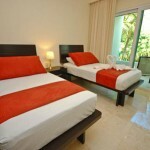 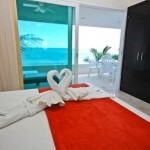 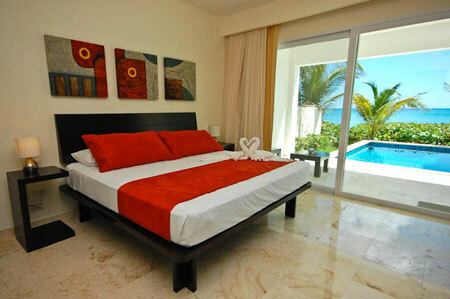 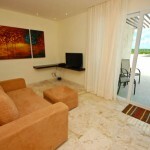 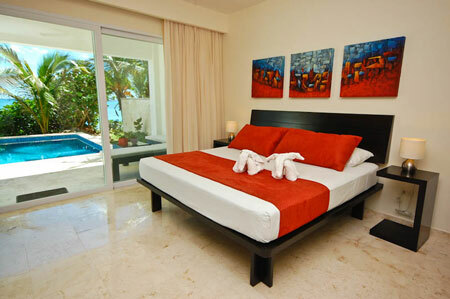 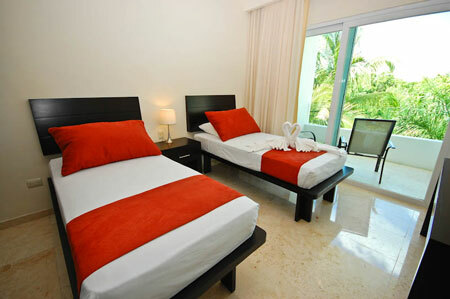 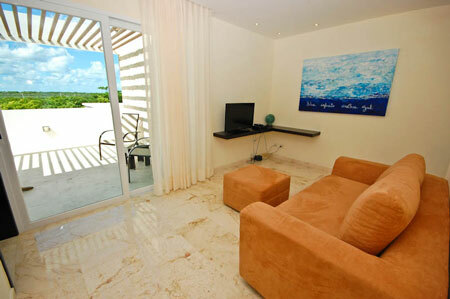 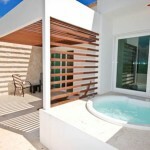 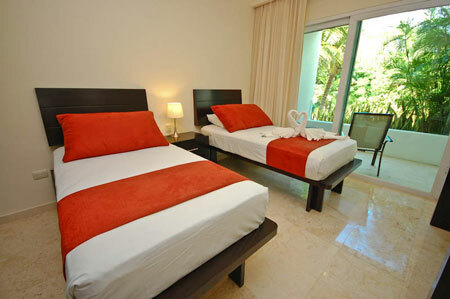 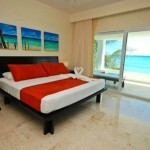 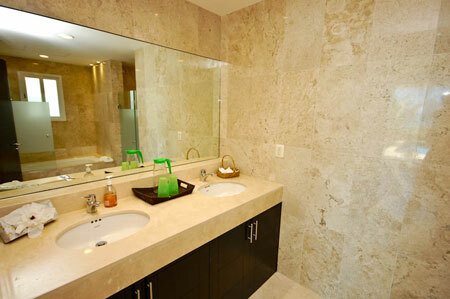 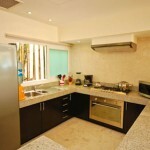 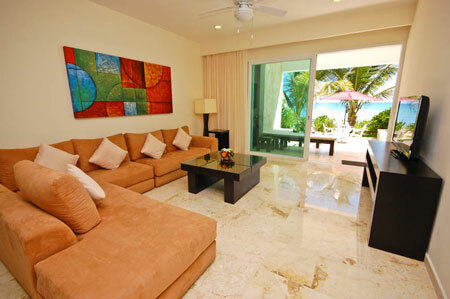 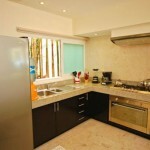 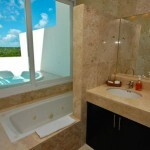 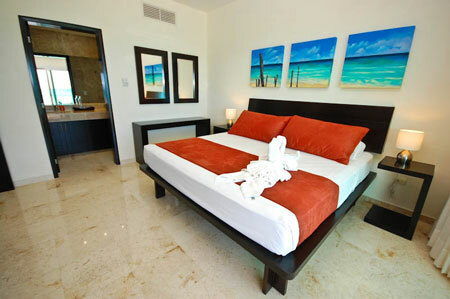 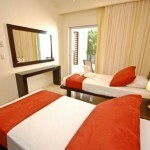 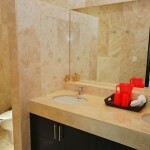 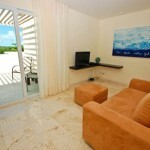 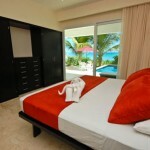 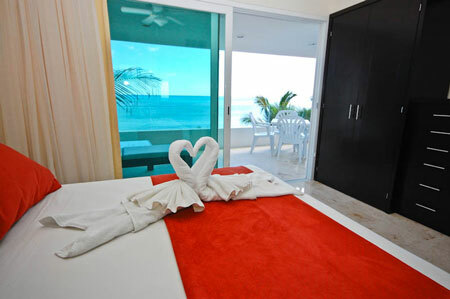 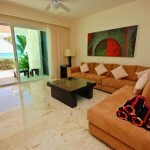 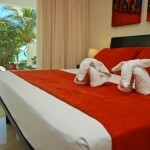 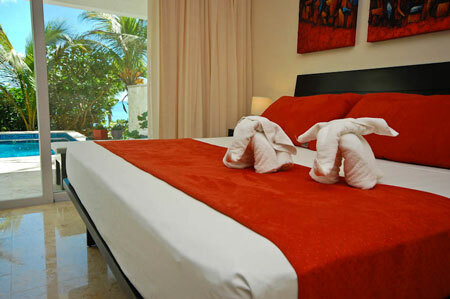 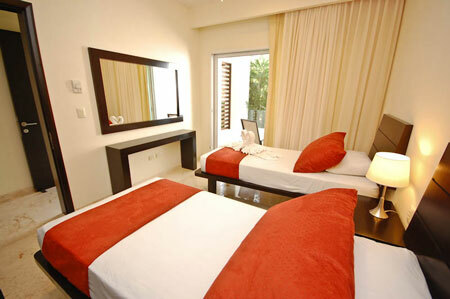 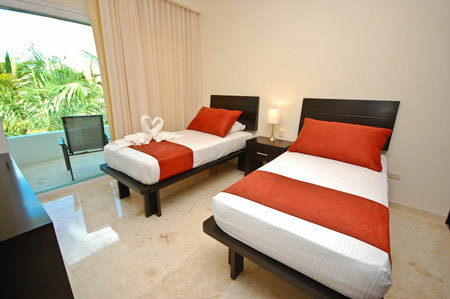 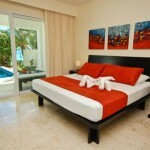 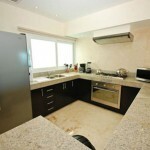 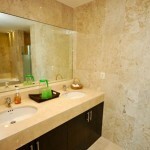 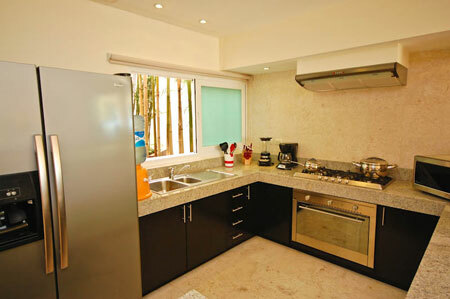 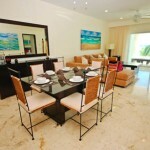 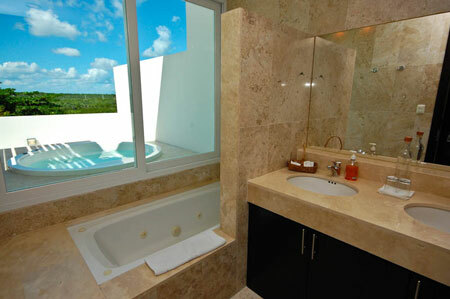 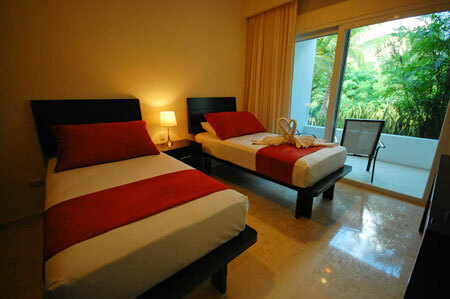 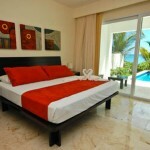 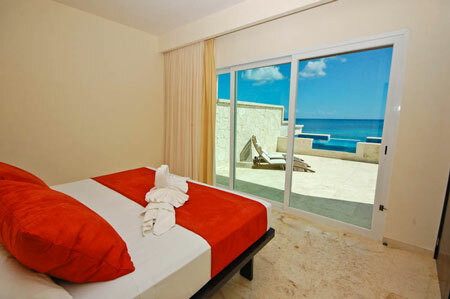 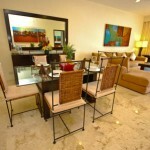 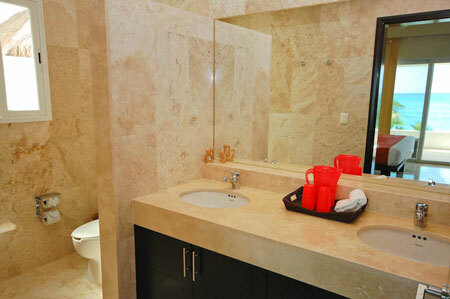 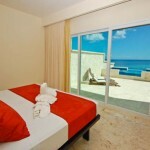 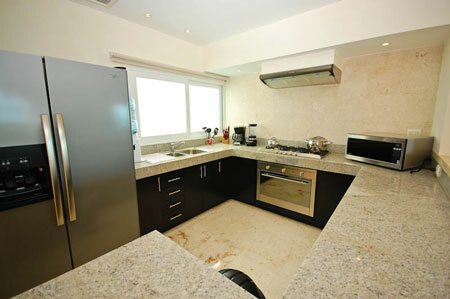 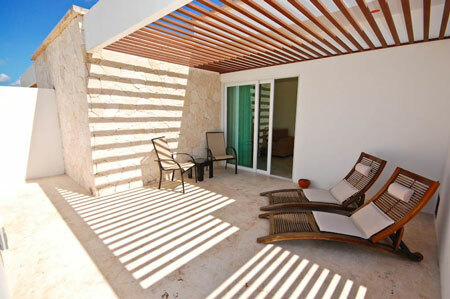 Casa Coral 202 is located on the second level as well, with the master bedroom on the third level. 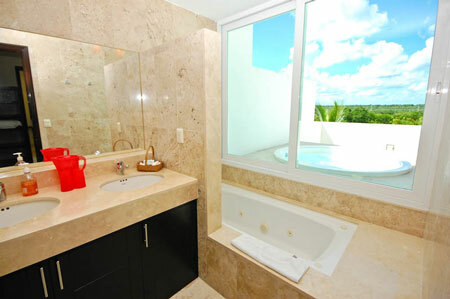 It has 3 bedrooms, 3.5 bathrooms, and features its own pool, separate jacuzzi, and sea-side balconies, along with stunning views of the sea. 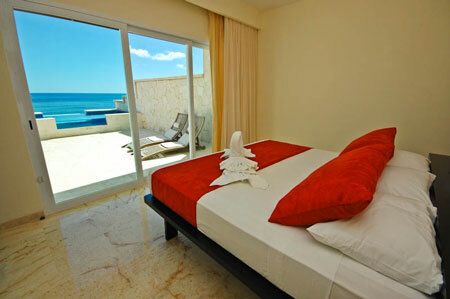 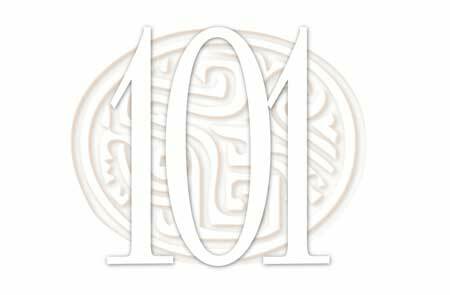 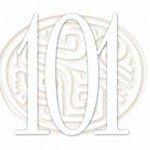 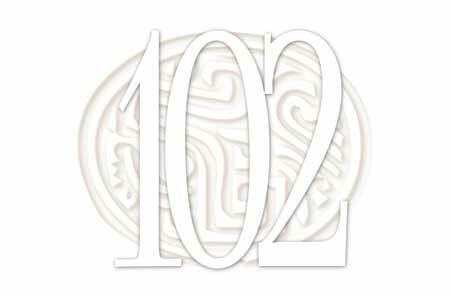 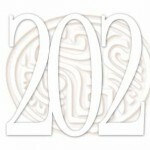 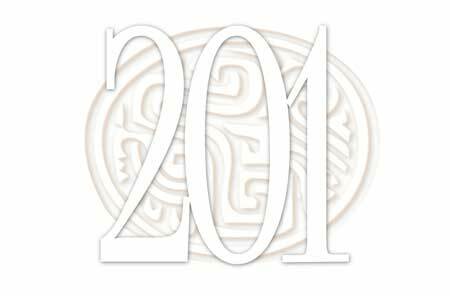 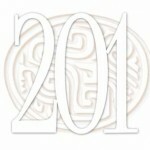 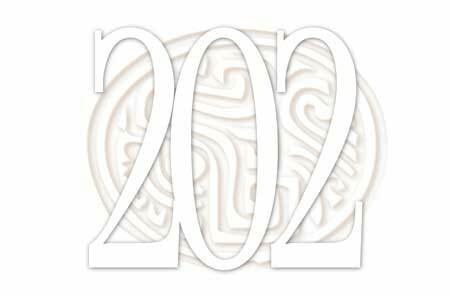 The above rates do not include the 19% Mexico tax (please add). 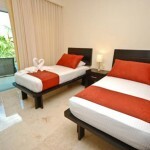 Rates are in USD, per night. 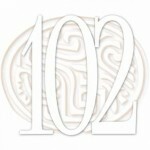 19% tax is not included. 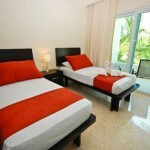 Minimum stays: Low Season 3 nights. 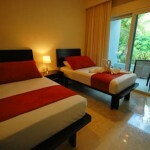 High Season 5 nights. 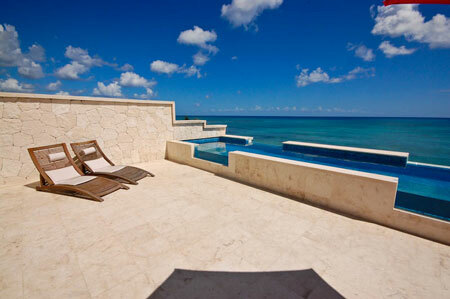 Holidays 7 nights.